Best MMA Fighters : Calm, composure, temperament and an aggressive attitude, this is what it takes to win a battle. 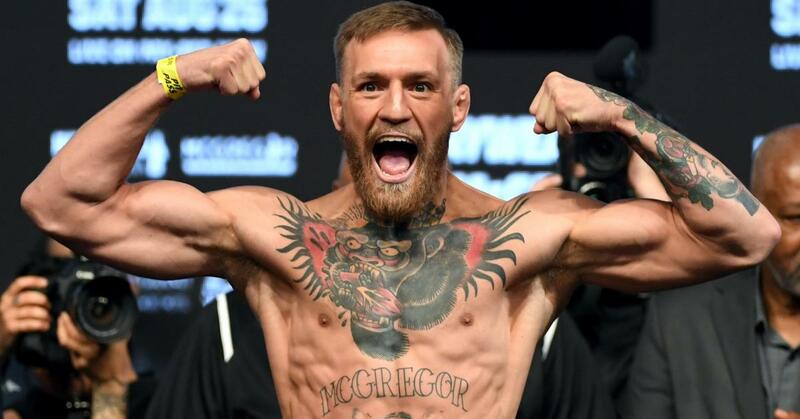 When a combat sports and martial arts are merged, it comes down to the brilliant techniques and muscle power to win the game. 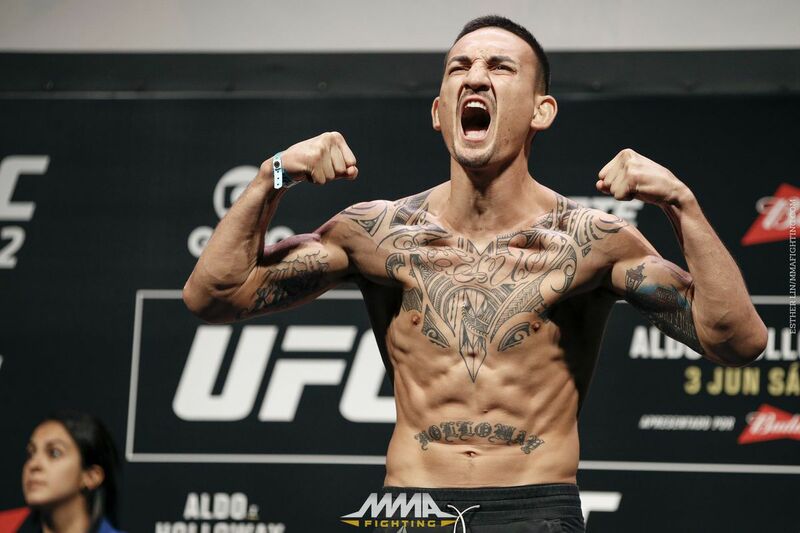 When fighter is winning , confidence is natural , but when is on losing streak , coming back and winning should be super natural , that is what some of the brave MMA fighters have in them. MMA fights are such a battle where a human body is pushed beyond limit to test its quality. There will be times where life in the ring seem to be hardest , there will be times a player will think about giving up , But in MMA fights al those negative thought will last only for few seconds , bouncing back is the usual nature of the game , not just the game , it is the test of human temperament . Winning a title will be the goal for very player and too see it coming true will be a bliss with eyes filled with happy tears . there are fighters who defend title , there are fighters who defend it twice , then here are fighters who can keep defending it. 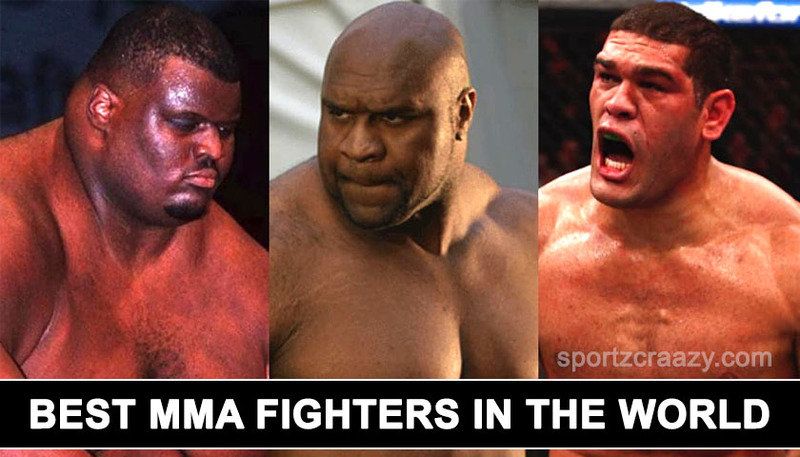 Here we take a look at the TOP 10 MMA fighters in the world at the moment . Being unbeaten in MMA fights , conquering 27 of them as a thoroughly professional , his achievement is next to impossible so far , no matter what is the level of the opponent be , he will always be a fierce competitor which fetches him the TOP spot in our creative coach table of MMA rankings. His journey to the top filled with a complete technique and power. He surprises the spectators and experts through unexpected victories. Proving experts and the people who predict wrong is among the sweetest feel of a fighter , he has that kickass ability to win over the opponents who are powerful than him. The character he shows , techniques he possess , passion he brings to the ring makes him special. 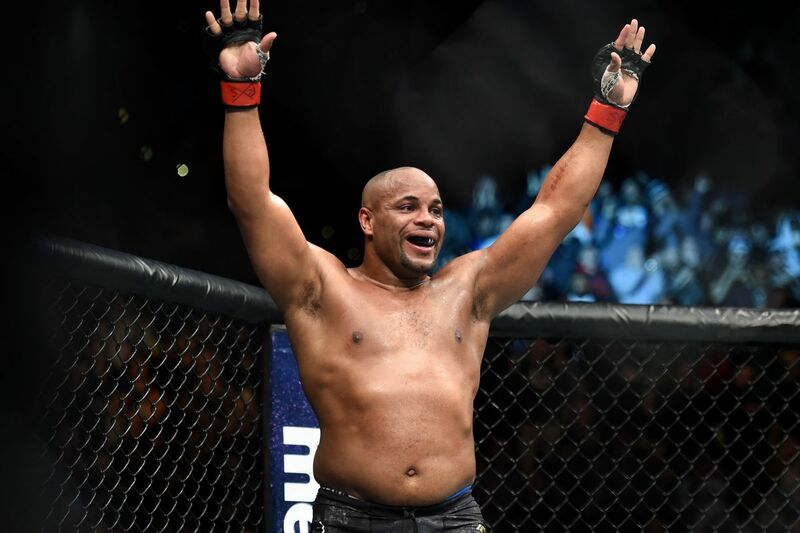 He is the second fighter in the UFC history to become the second “champ champ” when he won both the heavyweight and lightweight titles by winning against Stipe Miocic to lift the heavyweight title. 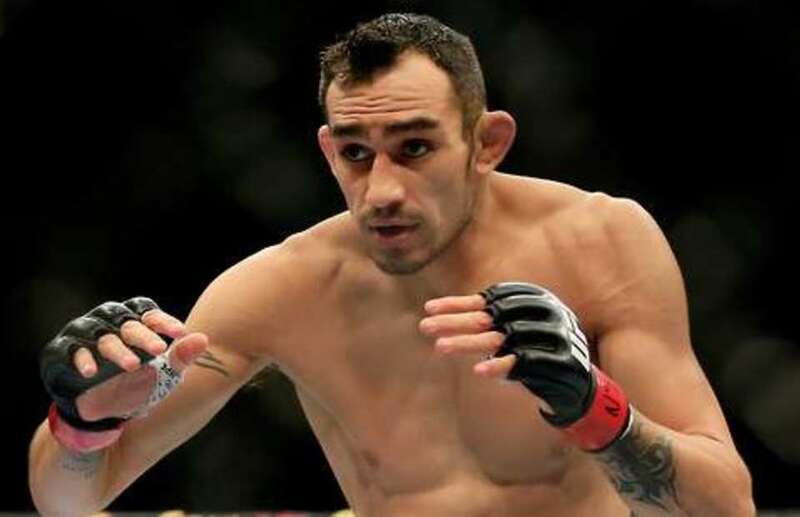 He has been both the featherweight and lightweight champion before being away from MMA for two years, a return to UFC fight need some attitude. He has returned to the ring against khabib nurmagodev to lose a very compelling match. An expectation on him coming back stronger is obvious. Giving a tough fight to an inform fighter after a long gap is never a cake walk. This compels us to give him the third spot in the table. He is expected to be in contention for the top spot in future fights. He gains third spot in creative coach MMA rankings. The man with 12 consecutive wins, 9 of them coming through stoppage, Easy task? No, not at all, it is just mind blowing. Becoming a champions matters, but harder the route is, sweeter the victory will be. The list includes Jeremy Stephens, Charles Oliveira, Ricardo lamas, Anthony Pettis, Jose Aldo twice. Not an easy list to beat , isn’t it? gathering expectation and carrying it will be an uphill task for every fighter. This man has gathered loads of expectation by his lethal techniques. 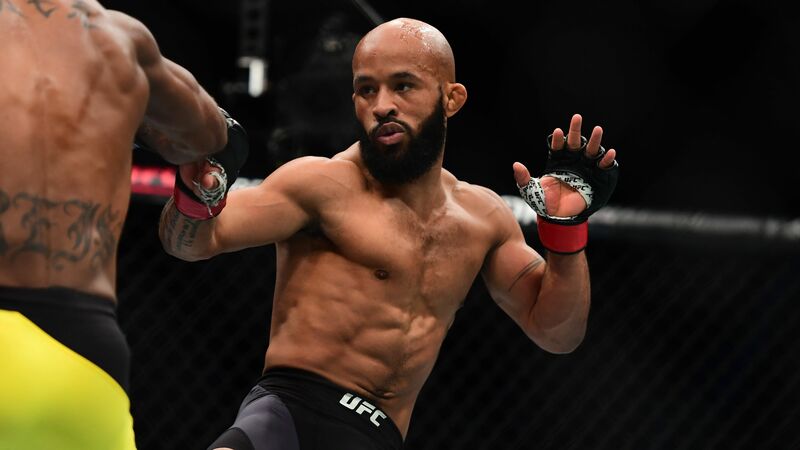 The most perfect flyweight champion, we can also address him as a running champion, He has defended the title for 11 times to beat the UFC record of Anderson Silva. The victorious run contains seven stoppages. He finally lost a game to Henry Cejudo which was a split decision. After winning 11 consecutive titles , it is never a shame to lose in a split decision , He is one of the most happening fighters in the UFC ring. Winning a UFC title is a difficult feat to achieve, even after the first event, some people are ready to declare it as luck or fluke , yes lips are eagerly waiting to spit such words out. So, it is even difficult to lose the next one, even more difficult to win it back. 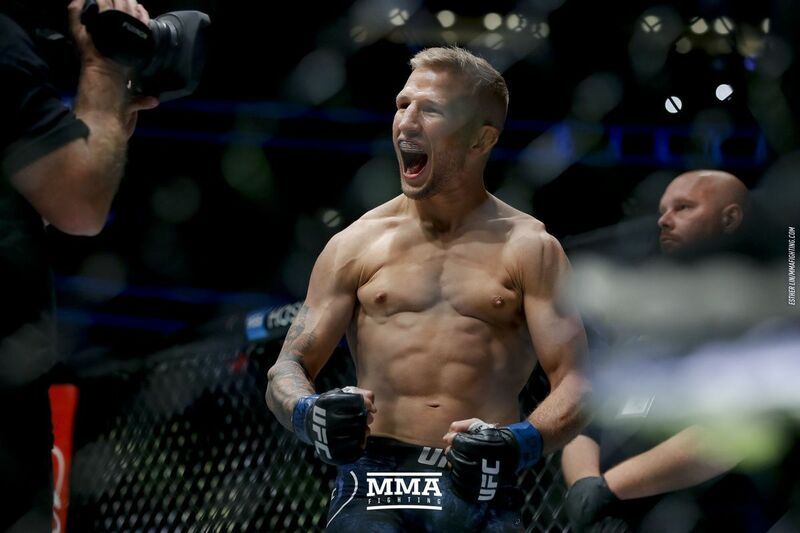 That is what T.J. Dillashaw has done in the middle of the ring. And going by his caliber, we expect from him, more jaw dropping fights. For the rankings of this month, he stays at number 6 and expected to earn the promotion in the ranking in near future. 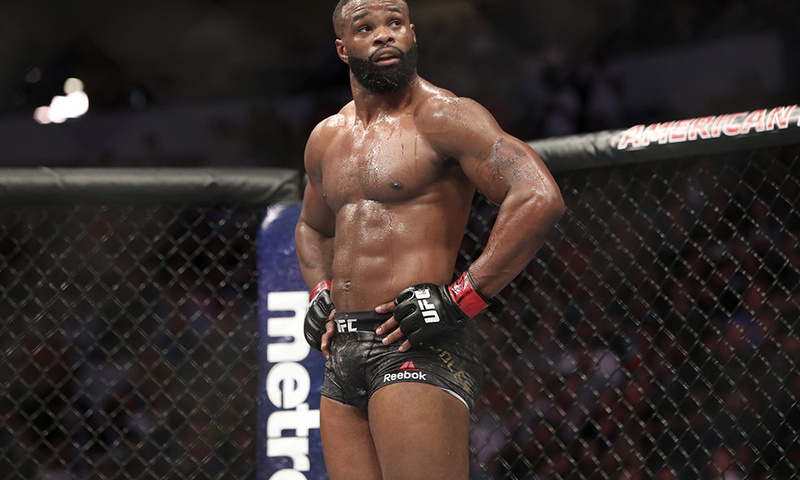 Tyron Woodley attains seventh spot in our UFC table with three wins and one draw on the way to his four time title defense against top competition which list the likes of Stephen Thompson, Demian Maia and Darren Till. Submitting Till is what earned him the black belt in the route. He is surely a good bet bet to get into the top 5 rankings soon. 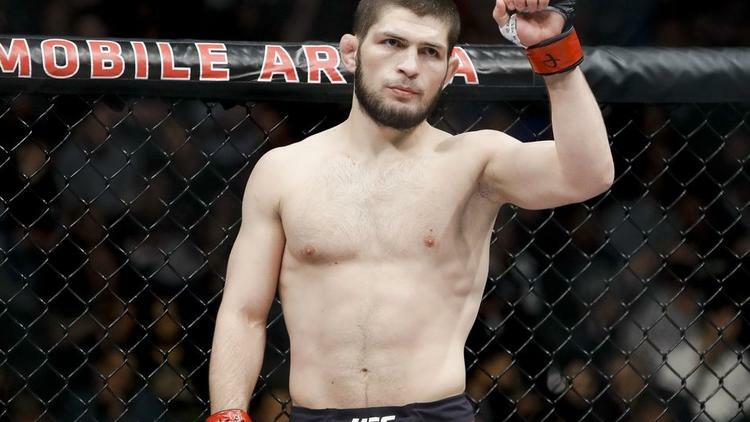 He tore his ligaments a week before his fight for title against Khabib Nurmagomedev, but his win streak for eight matches is worth mentioning; a recent win against Anthony pettis AT UFC 229 is highlight of them all. It takes immense attitude , will power , hard work towards the path of bouncing back and the passion towards the game to achieve these kind of feat. 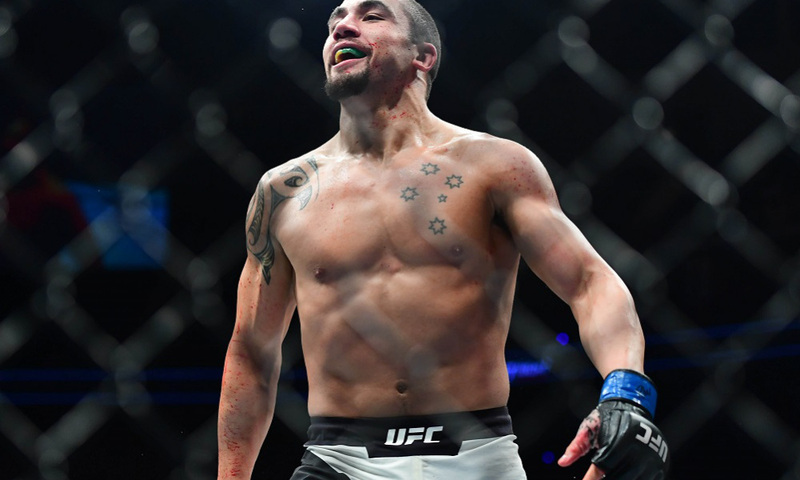 Since moving up to middleweight has benefited Whittaker, winning all eight fights at 185 pounds. He also won the title against Romero. Decision making process in the game has worked well for him. 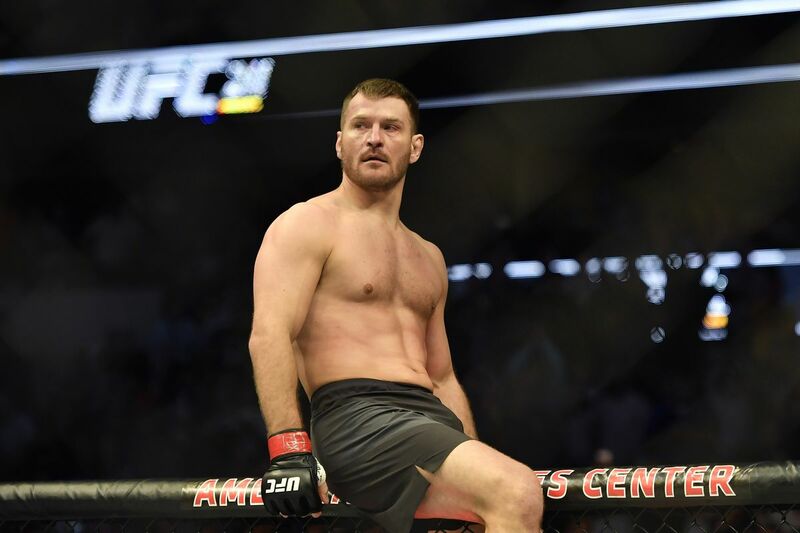 He is known as clevelands favorite fight son, Stipe Miocic was the longest reigning weight champion the history of UFC. He has also achieved three straight title defenses. He has the right technique and ability to keep moving up the order. Who knows? He may also gain that all favourite First spot.